Presented earlier this week at the Detroit Auto Show, Ford Mustang Shelby GT350R has attracted great attention of fans of the Mustang, and is expected to attract attention at the upcoming auction Barrett-Jackson Collector Car Auction in Scottsdale, Arizona. Ford has in fact stated that the first copy of the Mustang Shelby GT350R be sold just on the mentioned auction and all proceeds went to charity. 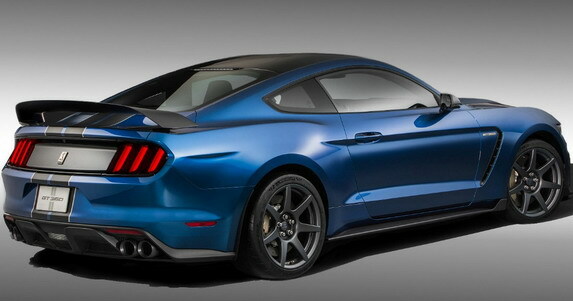 Let us remind that, the car beside aero body kit (including a fixed rear spoiler in black) has a modified suspension, racing strips, hood with air vents, new alloy wheels, sports exhaust system, stronger brakes, red brake pliers and interior trim (sports seats and a sports steering wheel, Shelby tags …). However, for customers who want rich equipment, Ford Mustang Shelby GT350R will offer the optional Electronic Package which included, among others, dual zone climate controls, audio system with seven speakers and an 8-inch sat-nav system. 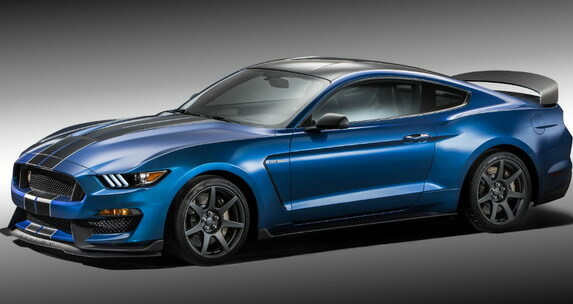 There is also a powerful engine 5.2-liter V8 with more than 500 horses and 400 lb-ft.
Ford Mustang Shelby GT350R will be offered in a limited edition, and for customers in North America will be available later this year.